Due to Austria’s location in central Europe, it’s a hugely popular destination for sending a parcel. Thankfully, our extensive European courier delivery network is ready to meet demand. Arranging postage to Austria is easy with DPD Local online. Whether you’re looking for cheap parcel delivery, a fast parcel courier, or just a parcel delivery service you know you can trust, we have a service that will meet your needs. The birthplace of Mozart, Freud and, perhaps most importantly, some amazing desserts, Austria is a country with spectacular scenery and some of the friendliest people in the world. If you need to arrange postage to Austria, we can help you get send a parcel with the minimum of stress whether you’re sending it to the bright lights of Vienna or Salzburg; or even to the remote village of Hallstatt, reputed to be one of the prettiest in Europe. Working out how much postage to Austria will cost is easy with DPD Local Online too. Just choose between our express and economy parcel delivery services and we’ll do the rest. Put your parcel delivery in safe hands; send your parcel to Austria with DPD Local Online today. Do I need to deal with customs when sending from the UK to Austria? You won’t need to worry about international customs when posting to Austria from the UK, because both are members of the European Union. How much does it cost to send a parcel from the UK to Austria? Postage to Austria can cost as little as £15.00 through DPDLocal-Online. Our prices are achieved by implementing methods to save money, and then passing on those savings to you! It’s simple, but effective. How should I address my parcel for delivery to Austria? Addressing formats in Austria are fairly similar to those here in the UK, with a couple of small exceptions worth being aware of. 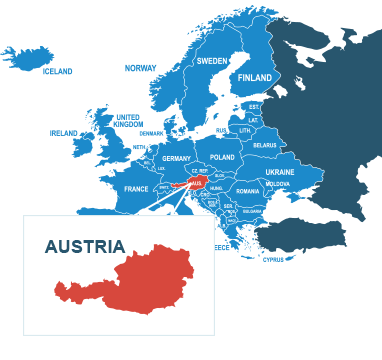 The Universal Postal Union have produced a detailed guide to addressing a parcel to Austria, which you can read here. Insects (for biomedical research or otherwise). For a full list of items that are restricted in UK post, see our prohibited items list.